RestorationMaster is an environmental engineering, consulting, and remediation firm the provides disaster restoration and construction services for homes and businesses in Eustis, FL and the surrounding areas in Orange, Seminole, Brevard, Sumter, Lake, and Indian River Counties in Florida. Our diverse staff consists of IICRC certified technicians and licensed general contractors who are highly trained and dedicated to responding to emergencies or disasters with audits of the damage, followed by thorough remediation and cleanup services. We have over 100 years of combined experience, as well as the knowledge and equipment, to resolve issues that lead to damage and get your property restored and rebuilt to pre-disaster conditions. The main disaster restoration services provided by RestorationMaster include water damage restoration, fire and smoke damage restoration, deodorization, mold remediation, content cleaning and pack-out services, emergency board-ups, reconstruction, and biohazard and trauma scene cleaning. We are experts at assessing environmental issues that lead to property damage and we help save you money by using in-house resources to restore your property while minimizing the use of subcontract services. Our owners are involved in the daily operation of our business, and our entire staff from our owners to our technicians are committed to providing quality results that exceed your expectations. You can call RestorationMaster 24 hours a day for emergency disaster restoration services in Eustis, FL and the surrounding areas. Water damage is a common issue that sometimes goes unnoticed and it can result in deep structural damage in a home or building without the proper reaction. Many homes and buildings may experience water damage from rain and flooding, but it can also happen due to plumbing issues, leaking appliances, overflows, and sewage backups. 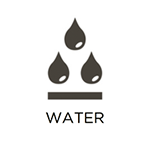 When water damage occurs, stopping the source of the damage and removing the water immediately should be your main concern. RestorationMaster provides complete water damage restoration services for homes and businesses in Eustis, FL and the surrounding areas. Our experienced technicians will dry and restore damaged furnishings and materials with our advanced equipment, as well as stop the source of the excess water. Watching your home or building burn in a fire is devastating, and while putting out the fire is a relief; the spread of the damage is far from over. Homes and business affected by fire often sustain further damage from smoke, soot, and other corrosive byproducts that keep spreading to new areas after the fire. 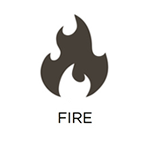 It is important to call a trusted professional in the aftermath of a fire that understands the best ways to restore damage caused by the flames as well as the smoke and soot. RestorationMaster provides fire and smoke damage restoration services to help homes and businesses that have been damaged by a fire in Eustis, FL. We respond within hours to cleanup residue from soot and corrosive byproducts, remove smoke odors, and restore damage to the building, furnishings, and personal belongings. There are several natural disasters that may leave an unpleasant odor in your home or building including water damage, mold growth, and most notably, fire and smoke. Foul odors are difficult to remove without advanced equipment and methods because the odors get absorbed in the air and porous materials. At RestorationMaster, we use advanced equipment and deodorization methods to remove residual odors from homes and businesses in Eustis, FL. Our advanced air sanitation and purification methods will leave your property odor free. Mold is a dangerous issue in homes and buildings because it can cause extensive property damage and various health problems from allergies to serious infections. 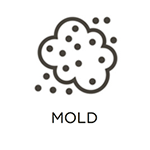 Mold typically appears indoors when there is excess water in the home, and mold colonies form on surfaces that provide it with food. The longer you let mold linger, the more likely it is to spread and cause deep structural damage or health issues. RestorationMaster provides professional mold remediation services to assess and remove mold growth in homes and businesses in Eustis, FL. We will ensure that all mold growth and affected materials are removed, as well as disinfect and purify your home or building to reduce the risk of further mold growth and mold related health issues. Our homes are full of personal possessions including our clothing, furniture, electronics, appliances, jewelry, and a range of other items. When a disaster strikes your home, much of your personal content is caught up in the damage. Finding your personal belongings damaged after a disaster is frustrating, and many of your possessions can become permanently damaged without quick cleaning and restoration. At RestorationMaster, we provide content cleaning and pack-out services in Eustis, FL that are included as part of our disaster restoration services. Our technicians can restore a wide range of your personal belongings and we offer the pack-out option if your content cannot be restored on-site. The reason homeowners and business owners fear the effects of a natural disaster is because any type of disaster could cause devastating property damage. Severe storms, floods, fire, and accidents can result in serious structural or exterior damage that leaves a home or building in an extremely dangerous condition. The experts of RestorationMaster can quickly stabilize and secure severely damaged homes and buildings in Eustis, FL with our emergency board up services. We will cover up large holes or openings to protect the building from outside elements, and stabilize any structural damage to prevent more serious issues. It is common to feel stressed out and overwhelmed when a natural disaster causes extensive damage to the exterior and structural core of your home or building. Buildings that are left in this state are extremely dangerous and the repairs can leave you out of your home or business for weeks. At RestorationMaster, we understand the stress of the situation as well as the desire to have the work done as quickly as possible. Our experienced general contractors provide efficient reconstruction services in Eustis, FL to rebuild homes and businesses that have experienced extensive damage. 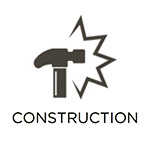 We can handle every aspect of the construction process so you don’t have to work with multiple contractors. Many unfortunate scenarios, including hoarding, accidents, violent crimes, suicide, and unattended deaths can create a very dangerous and sometimes disturbing scene on your property. These scenarios usually involve biohazard materials such as blood and bodily fluids that very easily spread infections. You should always call 911 first in an emergency, but you will also need a trusted professional that can safely clean and disinfect the scene. RestorationMaster provides biohazard and trauma scene cleaning services to remove biohazard materials from trauma scenes in Eustis, FL. 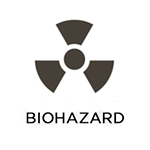 Our technicians will ensure the safe removal and disposal of all biohazard materials and we will also thoroughly disinfect the scene to reduce the risk of spreading infection.